In this work, chemosensors based on mixed ligands were proposed for the cooperative detection of Co2+. The relationship between the specifically selected mixed organic ligands and the detection activities is discussed. Diverse responses to metal ions can be tuned by controlling the structural features of organic ligands, such as different sizes, geometries, substituents, and connectivity. Among the nine investigated systems, DHAB–Tpy, DHAB–Phen, and DHAB–Dpa displayed high selectivity and sensitivity for Co2+, with detection limits of 4.5 × 10−7 M, 1.1 × 10−7 M, and 8.0 × 10−8 M, respectively. The detection of Co2+ was not affected by other metal ions, anions, amino acids, proteins, nucleic acids, lipids and pH conditions. Furthermore, the proposed method was validated in the analysis of Co2+ in real water samples with satisfactory recovery and relative standard deviation values. TAC–Phen and TAC–Dpa could recognize Co2+ qualitatively, but could not detect Co2+ quantitatively. While TAC–Tpy, PAN–Tpy, PAN–Phen, and PAN–Dpa showed no metal ion selectivity. The experimental results were also rationalized by theoretical studies. A mixed ligand system can be used to produce a ratiometric absorption signal to avoid most ambiguities, such as the chemosensor environment and concentration, via self-calibration of two absorption bands. 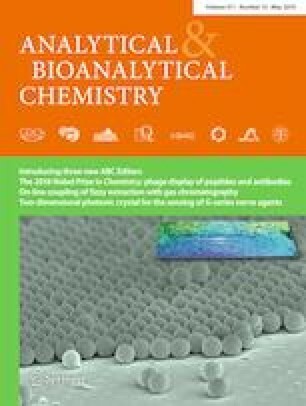 Structural insights derived from detection activities can provide valuable information for the design of new metal ion chemosensors by varying the type of organic ligands. 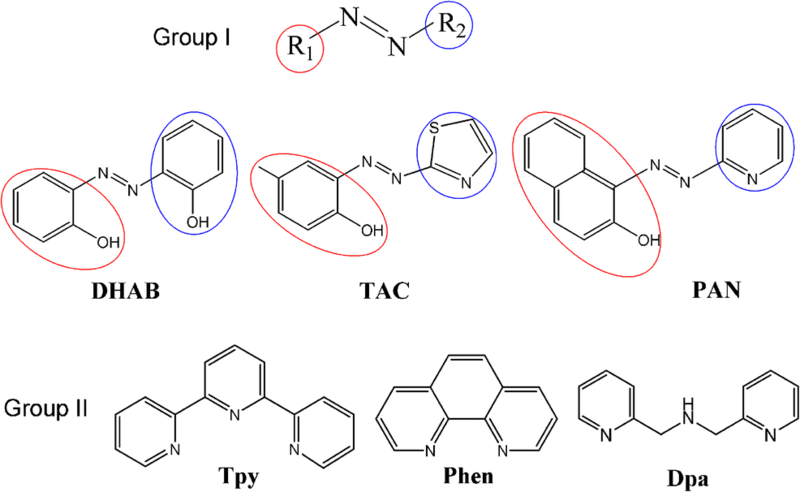 The work represents a simple strategy for obtaining synthesis-free, inexpensive, and sensitivity-tunable chemosensors through mixing organic ligands of different sizes, substitutions, geometries, and connectivity to modulate the sensing behaviors. Jing Wang, Jing Liang and Xu Liu contributed equally to this work. The online version of this article ( https://doi.org/10.1007/s00216-019-01707-3) contains supplementary material, which is available to authorized users. We gratefully acknowledge financial support from the NSFC (Grant Nos. 21567002, 31560014) and Hundred-Talent Program (Guangxi Province).